It’s already February and the 2019 season begins in less than 3 weeks. 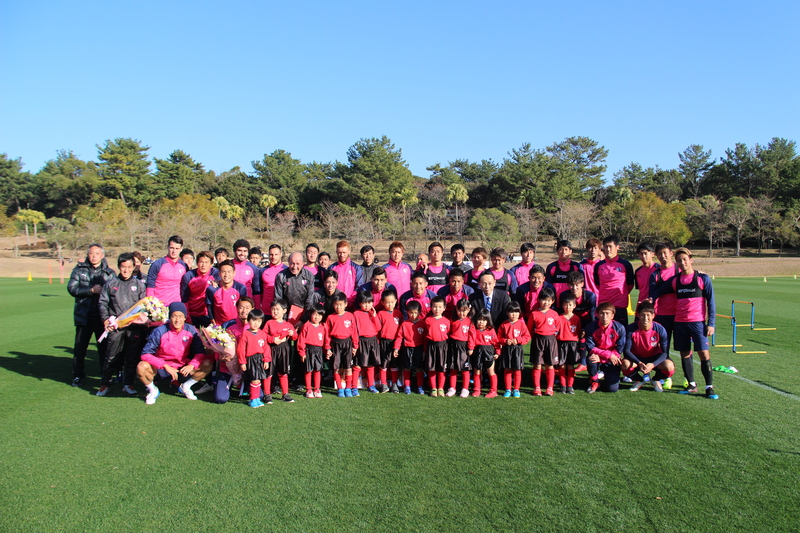 Cerezo Osaka finished Thailand training camp last month and now are in Miyazaki Prefecture for the second training camp. They will return to Osaka on February 12 after playing 5 training matches at Miyazaki Kokusai Kaihin Entrance Plaza. One of them is against Kagoshima United FC and the players will reunite with Ahn Joon-soo, Masaki Sakamoto, Rei Yonezawa, and Noriyuki Sakemoto. Cerezo already played the first preseason match with BG Pathum United (formerly Bangkok Glass), as is every year. The game was broadcasted on Facebook and YouTube (available here). It was the first match for the team with new manager Miguel Angel Lotina and they won it 3-1. In that game, we could see a glimpse of how Lotina does and will transform the team. For example, he used a variable formation which was basically 4-back system but changed it to 3 with a left back (Kakeru Funaki) being placed in more forward position when having the ball. It also seemed that defensive players were intentionally attempting to pass the ball diagonally. Actually, Bruno Mendes‘ goal was created from a superb diagonal pass by Kota Mizunuma although Mizunuma isn’t a defensive player. While Mizunuma played on the right flank in the second half of the game, that position was filled by left-footed Ryuji Sawakami in the first half. Using left-footed attacker as a right winger is also said to be a part of Lotina’s style. The players like Leandro Desabato, Naoyuki Fujita, Hiroshi Kiyotake, and Toshiyuki Takagi didn’t play in that game. Lotina said Fujita was not in good form, while Desabato got injured. Kiyotake and Takagi seemingly didn’t travel to Thailand with the team due to injury or something, but both are participating in Miyazaki training camp. In the above photo, you can find promising youngster Jun Nishikawa, who currently belongs to Toko Gakuen High School, between Kenta Tanno and Kakeru Funaki. Nishikawa is a left-footed winger and according to Kanagawa Shimbun, a local newspaper of Kanagawa where his school is located, Cerezo have already made an offer for this 16-year-old player. Although it is not still uncertain if he joins the team, at least this means he has some interest and there is a possibility.